The hard bits in literary non-fiction – could this be true of all writing? all art? – are also the most exciting if you can get them right. In this three-parter, dig deep into the ways autobiographical material can be used to produce writing and thinking that goes well beyond the personal; pooh-pooh formulas and conventions and go in search of experimentation when experimenting is called for; and consider how works of non-fiction can, and do, act as catalysts for important public conversations. how works of non-fiction can contribute to and shape vital public conversations, and make us feel less alone (and less unmoored) at times of crisis, individual or collective. 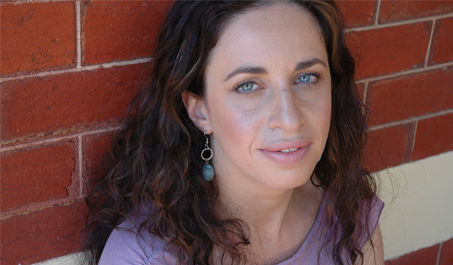 Maria Tumarkin writes books (three to date, fourth on the way), reviews, essays (included in ‘Best Australian Essays’ 2011, 2012 and 2015), and pieces for performance and radio. She teaches and translates, and collaborates with visual artists, psychologists and public historians. Her work has been published, performed, carved into dockside tiles, and set to music. Maria holds a PhD in cultural history and teaches creative writing at the University of Melbourne. For more on Maria, visit www.mariatumarkin.com. Read Maria's Q&A on the power and pleasure of narrative or have a go at her Writing Workout on messing it up.